Warner School of Education faculty member Karen DeAngelis has been awarded a research grant of $38,082 from the Spencer Foundation. DeAngelis is collaborating with co-principal investigator Eric Lichtenberger, a postdoctoral fellow and assistant research professor at the Illinois Education Research Council (IERC), to study the academic skills and racial/ethnic diversity of teachers entering K-12 public schools in Illinois. The one-year study, titled “Seeking Excellence and Diversity: How Stages in the Pipeline from High School to K-12 Teaching Affect the Composition of New Teachers,” will track two Illinois high school cohorts from high school through college and into K-12 public school teaching in Illinois. DeAngelis and Lichtenberger will examine the trajectories of high school students, especially those from racial/ethnic minority groups, and how these various stages influence the characteristics of those entering the teaching profession. DeAngelis says the study is particularly timely as recent studies, including a 2007 study of her own regarding new teacher attrition in Illinois, have shown that improvements in new teachers’ academic skills have come at the expense of diversifying the teacher pool. An assistant professor in educational leadership, DeAngelis teaches courses on educational policy, decision making, the economics of education, and quantitative methods. She examines issues related to K-12 teacher and administrator supply, qualifications, and distribution and has extensive experience working with large-scale educational databases at the district, state, and national levels. Formerly an assistant research professor at IERC, DeAngelis has conducted pre-kindergarten through postsecondary education policy research and has done educational consulting and evaluation work for a number of organizations, including the American Institutes for Research, the Danforth Foundation, the St. Louis Desegregation Task Force, and the St. Louis Public School District. 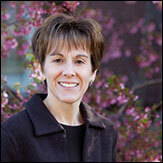 Her research has been supported by the American Educational Research Association and the Spencer Foundation. DeAngelis holds a bachelor’s in economics from Colby College and both a master’s in economics and a PhD in economics of education/policy analysis from Stanford University. The Spencer Foundation was established in 1962 and investigates ways in which education can be improved around the world. Since 1971, the foundation has awarded approximately $250 million in grants.